Black Friday arrives each year on the day after Thanksgiving and with it comes a bevy of sales, deals, and specials galore. Whether you’re after an HDTV or a pair of jeans, sales abound and you can likely find a great deal on almost anything. The catch? Many of the best sales take place at the crack of dawn (or well before it). More and more stores are opening on Thanksgiving evening, too. For many, the holidays don’t really start until after this day of big sales kicks off the season. As in many cities, Black Friday is the day to go shopping in Seattle! Really, you can go to just about any shopping center or mall and you'll find crowds and deals galore, but knowing a bit about the area malls and how to track down the deals can help you plan out your day. Whether you want to get in and get out (good luck!) or spend a day out at the stores, decide in advance and go armed with knowledge of where you'll go and which deals you're after. The key to a successful Black Friday is checking out the deals before you head out. Lines are often so long and doorbusters limited enough that figuring out where you want to go often makes the difference between scoring that half-price set of 1000-count sheets or not. You can pick up a copy of the local paper, which will be filled with weekly ads and coupons, but there's also no need to wait for the paper. Black Friday ads start leaking weeks before. Keep an eye on Black Friday News to see which ads have leaked, and watch Black Friday Ads to see the actual ads scanned in or uploaded. As you're pinning down which deals you want to go for, make sure to note store opening times. Many stores now open as early as Thanksgiving evening. Seattle-area malls: You'll find Black Friday deals at plenty of stand alone stores, especially in downtown Seattle, but if you want to get to as many deals in as short a time as possible - go to the mall. In Seattle and surrounding cities, there are many malls, shopping centers, stand-alone stores, and outlet malls to head to for the sales. 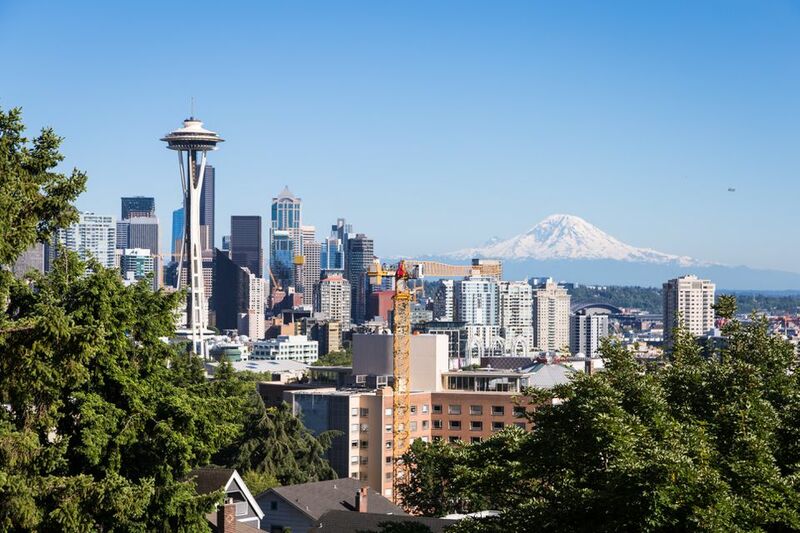 Pacific Place and Westlake Center make great options downtown, but in Seattle’s surrounding cities, shopping centers like Northgate Mall and Southcenter are large and have many stores within their bounds. Southcenter Mall in Tukwila is an especially great spot as the mall is large, but there are also hundreds more stores outside of the mall on surrounding blocks. Be prepared to tangle with traffic in the parking lot, though! Bellevue: Bellevue is an ideal base for shopping any time of year, but also for Black Friday. Its main shopping core is anchored by the Bellevue Collection, a triad of shopping centers, the largest of which is Bellevue Square. Within the Bellevue Collection is the Hyatt Regency Bellevue so you can potentially turn a shopping day into a shopping weekend. Staying right there has perks, like being able to take skybridges between all the stores of the Bellevue Collection and the Hyatt Regency. South Sound malls: In Tacoma, the Tacoma Mall area is the biggest shopping center and is hands down the best place to go for Black Friday. Like other area malls, Tacoma Mall typically opens on Thanksgiving evening and many stores stay open throughout the night. Smaller malls in the South Sound include Puyallup's South Hill and Olympia's Capitol Mall. Outlet malls: If Black Friday deals just aren't enough, give an outlet mall a try! The Outlet Collection south of Seattle and Seattle Premium Outlets to the north are both fine Black Friday shopping destinations. Alternately, if you prefer to avoid the retail madness, save all or some of your shopping for the Saturday after Thanksgiving, often called Small Business Saturday. Small Business Saturday is all about shopping locally instead of at major retailers. It's a lot lower key and you probably won't get stuck in long lines or parking lot battles!